More than a home video game console, Xbox One supports a wide range of media types and users can use it to play DVD, Blu-ray, CD and digital files. Xbox One only not offers a quality gaming experience but also makes people’s movie-going experience more convenient. However, whether you insert a game disc into Xbox One or play DVD videos on it, you may meet the “Xbox One won't read discs” or “Xbox One won't play DVD Video” problem more or less. Therefore, in this article we will discuss the possible causes and show you the easy fixes. So let’s start! Due to DVD region code, DVD scratches or incompatibly issue, you can’t play specific DVD videos on Xbox One. In this case, you can use a DVD to Xbox One Ripper. WonderFox DVD Ripper Pro is such a useful application. It can bypass any copy protections, fix scratched DVDs and helps you to convert DVD to Xbox One supported digital format. It’s lightning-fast, easy and reliable. In some cases, your DVD disc has dust, fingerprints, or other filth on it. You only need to clean the disc with a damp Eyeglass Cleaning Cloth. However, if the disc is scratched and can’t be read even if you clean it, or the DVD is copy-protected that can’t be handle by Xbox One, you can choose WonderFox DVD Ripper Pro to remove the copy protection or copy scratched DVD and convert DVD video to MP4. Moreover, if you don’t sure whether the DVD disc is the cause of Xbox one won't read disc, you can try to play the DVD on your friend’s Xbox One. If it can play the DVD, move to the following solution. If you find your Xbox one can’t read all discs and your Xbox Home screen prompts you to insert a disc even when the disc is already inserted. You can fix the Xbox One not reading disc problem by the following two ways. Solution 1. If you are using Instant-on power mode, change it to Energy saving mode. Step 1. On the Home screen open the Xbox button. Step 2. Select System > Settings > Power & startup > Power mode & startup. Step 3. Now select Power mode and Energy saving. Step 4. After that, perform “hard power cycle”. To do that, hold down the power button for 10 seconds. 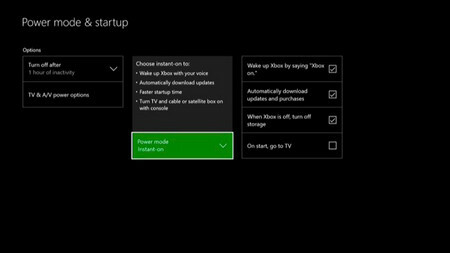 Once your Xbox One shuts down completely, restart it again by pressing the Xbox button on the console. Now you can try your Disc to check whether the problem that Xbox One won't read disc is solved. Solution 2. If the solution 1 doesn’t work, your Xbox One's disc drive probably get damaged, you’d better ask for a repair. 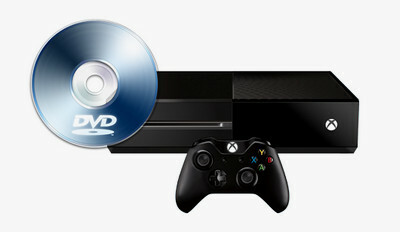 If your Xbox wont play DVDs, CDs, or Blu-ray Discs, but game discs, you can reinstall the DVD player app on store. Since the reasons causing Xbox One disc not reading are varied. If you still can’t find a good fix or you want to play a copy-protected DVD or damaged DVD, you might as well convert DVD to Xbox supported digital files. 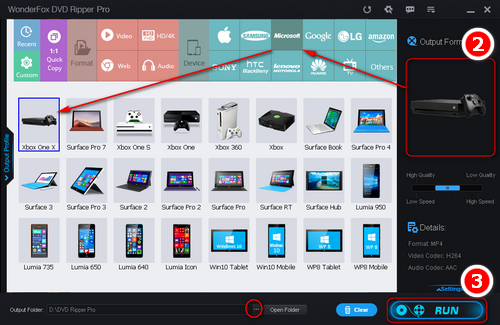 And here I will show you how to digitize DVD with a smart DVD ripping software - WonderFox DVD Ripper Pro, so you will never be troubled by the problem that Xbox One won't read disc. 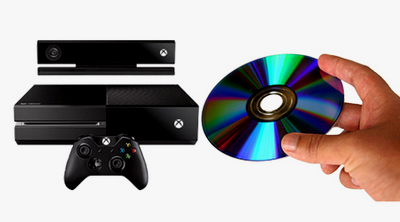 To fix Xbox One not reading disc error, first insert DVD disc into your PC DVD-drive. Then as the picture shows, click on the DVD disc button, select the desired DVD letter and hit Ok. 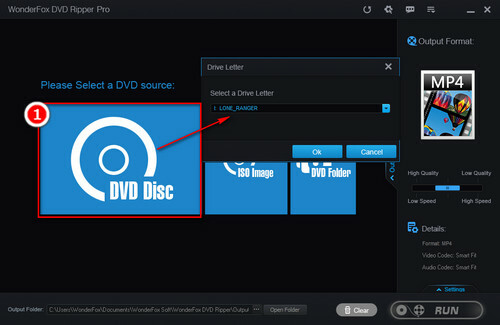 The smart DVD ripper can import the DVD source in an instant and will automatically mark the main movie. Click on the output format on the right and it will direct you to the Output Format window. Go to Microsoft section and choose your Xbox model. Take Xbox One S as an example, you only need to select the Xbox One S profile. Tips. You can also use this software to fix DVD PS4 playback problem, convert DVD to TV, copy DVD to PC, copy DVD to tablet, etc. Now click on the Run button on the bottom right corner. It only takes minutes to rip an entire DVD movie. It’s time to free download WonderFox DVD Ripper Pro to fix Xbox One not reading disc issue easily. The software helps you to convert DVD to game console, TV, tablet, iPhone, android phone and other popular devices. Moreover, it offers 1:1 DVD to ISO image/DVD folder quick copy feature and supports over 300 video & audio formats.